ZePrA, supplied by ColorLogic, is a sophisticated color server that analyzes color on-the-fly, enabling a fast and flawless creation of DeviceLinks profiles without the delay of long and costly integration phases. Thanks to a triumvirate of tools, ZePrA truly simplifies automated color management and conversion for any user. ZePrA is a sophisticated color server that simplifies automated color management and conversion for any user - without incurring the complexity and overpricing of legacy workflow solutions. The tool is fluid in its use, by offering a fast, flexible rendering of a workable solution for the printer to simplify, duplicate and modify configurations and queues for everyday tasks in the day-to-day production work. It analyzes color fast and flexibly, allowing printers to immediately and flawlessly create the required DeviceLinks profiles without suffering through long integration phases. ZePrA Smart Color Server can be integrated into an existing workflow for direct results. Its easy-to-use interface simplifies the process of creating custom DeviceLinks profiles for any workflow. ZePrA delivers thanks to the triumvirate success combination of Smart Color Server, Smartlink and the PantoneLive® Support. The ZePrA Smart Color Server analyzes color at incredible speeds. SmartLink creates DeviceLinks on-the-fly using ColorLogic’s advanced color technology. The integrated PantoneLIVE® Support allows inline access to PantoneLIVE libraries in ZePrA, provided users have a PantoneLIVE® Production License. ZePrA’s more advanced features, such as Multicolor options or advanced spot color conversion, can be added as equipment and is updated and upgraded. The ZePrA solution comes in a variety of flexible and customizable packages, ranging from entry level to XXL to fit companies of any size. ZePrA is supplied by ColorLogic, alongside the CoPrA color profiling and ColorAnt color management solutions. ZePrA subscribers can sign up for a software maintenance agreement to consistently and constantly rely on the latest application updates. ZePrA analyzes color fast and flexibly, followed by a selection of the best tools to flawlessly and cost-efficiently create the required DeviceLinks profiles for any printer. ZePrA consists of the Smart Color Server, Smartlink and PantoneLive® Support. The triumvirate of tools advises on the most optimal creation track for DeviceLinks profiles. ZePrA sports an easy user interface; the solution can be easily implemented in just about any workflow and immediately stuns its users with the quality and efficiency rendered. It even handles multicolor files, applies DeviceLink profiles to any color space conversion and converts spot color on-the-fly. The support of serialized profiles from CoPrA SP for outdated computer serial numbers on virtual machines running under Windows has been fixed. Note: Under Windows a new serial number is generated and used from ZePrA 7 if a computer based license is used. However, the accompanying CoPrA SP still uses the old serial number which has led to the situation that the serialized profiles from CoPrA SP were not recognized correctly in ZePrA on virtual machines. Fixed positioning error of a small Photoshop layer in an image after downscaling and converting with retaining layers. Fixed file not found error under Windows when ZePrA tries to create a file or folder with “>” in the name. Fixed that ZePrA supported serialized profiles for all serial numbers. The expected behaviour is that a job error is generated when the user tries to convert a file with a serialized profile for an invalid serial number. Fixed that the PSB file extension from very large Photoshop files was changed accidentally to PSD although the resulting file is still a PSB file. (Ticket #191139). Fixed some spelling issues and optimized Job Warning messages. Added the missing translation for the PSD Layers in the Job Report. In addition the Job Report will not contain the Photoshop Layers section if there are no layers in the converted image file. Duplicate </table> tags have been removed from the HTML report. Fixed invalid ICC profile message from Photoshop when converting an image with layers and embedded profile with two consecutive queues if the Retain Layers option was enabled. Fixed that ZePrA reports error (Undefined Function) for converted images files if Retain Layers was enabled and the preferred file format under Image Quality was JPEG. Note: JPEG does not support image layers. Fixed that profiles from CoPrA SP and licensed DeviceLink Sets could not be used in ZePrA 7.0. As a ZePrA 6 user having such profiles in use we recommend updating right to 7.0.1 and not using 7.0. In case you have upgraded to version 7.0 already you will probably see warning messages showing up that queues have been stopped because of invalid profiles. After updating to 7.0.1 these warnings will disappear and you just need to press the Start button on the Overview dialog to activate the queues again. ZePrA 7 supports ISO 19593-1:2018. It is common practice in the packaging segment (and other segments of the printing industry) to work with PDF files that contain graphic objects to be printed and additional graphic objects and metadata for use in other steps in the production of the final product. These non-printing PDF objects and metadata are important for processing steps like die cutting or creasing. ZePrA 7 supports processing steps. Definition of processing steps: Step in production of print products other than regular printing of color on the print surface. Example: Cutting, printing of white, varnish or similar. In addition ZePrA 7 supports layers in PDF files: Only content of selected layers is converted while content of unselected layers remains either untouched or is deleted. The PDF Layers feature is located in the PDF tab of a Configuration. It allows to define one or multiple rules to be applied when converting PDF documents. Double-clicking a rule or hitting New opens the PDF Layer Rule dialog. Each rule specifies the targeted layers and their processing. Layer Name – Users can customize names for layers with Processing options. Invisible Layers – Selects all invisible layers, including layers which are switched off and are therefore invisible in PDF viewers such as Acrobat. Processing Steps – Selects layers which are marked as processing step according to ISO 19593-1. The processing step type can be chosen from the drop-down menu. All means all processing steps. Custom means a processing step name as specified in the text field. Regular Conversion – The layer is converted as usual. Don’t convert – Excludes layer from the color conversion. Remove – The layer is removed from the converted PDF file. Photoshop PSD and TIFF files are often used in pre-press containing layers for image editing and composing. The Photoshop Layers feature is located in the Options tab of a Configuration. Layers in PSD and TIFF files can either be removed or retained. The layer structure will be retained during color conversion, if possible. Transparency effects can be retained when removing layers. Layers can be retained even when converting spot colors to process colors. New features allow for even better color quality when converting spot colors and tints or when predicting overprints of spot colors. Streamlined user interface looks cleaner and offers even more functionality. New advanced spot color merging. 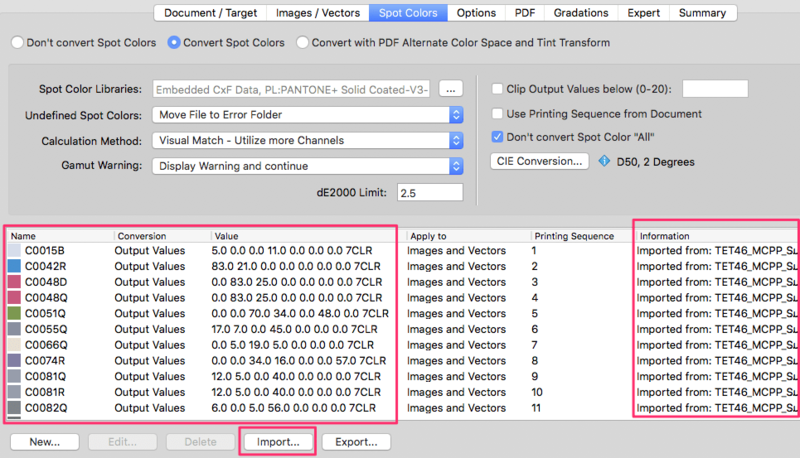 The color space for the merging and overprint calculation of spot colors can be set under Spot Colors/Special Options/Merging Color Space. It can be set to Document or Target color space, alternatively an Automatic selection is available. Support of ISO 20654 (also known as SCTV) for tints of spot colors. The new Linearity feature in the Special Options dialog defines the calculation method for the linearization of spot colors. ISO 20654 uses the ISO calculation method for the linearity of tints while Automatic uses either document or target color space linearity (depending on the Merging Color Space setting) or the gradient measurements of spot colors present in the library. New option to Avoid Dot-on-Dot Combinations in spot color to Multicolor conversions when printing with AM screening. The new feature is available in the Special Options dialog. Activating the checkbox automatically avoids combinations of complementary inks and combination of blue or violet and black. Note: Spot colors in each PDF document will be dynamically sorted according to their L* values. Custom allows to enter channel names and to change the order manually. The spot color conversion features a new Calculation Method: Use a maximum of three channels. Using a maximum of three channels is used in other 3rd party applications. This option makes it easier for users from other solutions to get used to the more advanced options of ZePrA such as Use the least amount of channels. New processing options for spot colors in the Edit Spot Color Conversion dialog offer to Remove a spot color, or to Replace a spot color by another spot color. The Opacity can be changed in the spot color configuration in the Edit Spot Color Conversion dialog, now. This allows overwriting of opacity settings in the spot color library including opacity settings to PantoneLive colors that do not provide this type of information. Added export of spot colors as CxF/X-4 compatible files when selecting the CxF file format. Added Export options for single spot colors in a library and the Edit Spot Color dialog. Improved information messages when exporting to file formats that do not support all data structures of a spot color library. Note: Only the CCF format supports all features of a ZePrA spot color library. CxF/X-4 spectral data in PDF/X files are now retained if spot colors are not converted and are therefore not lost during conversion to a new output intent. Support for the X-Rite ColorMaster software Ink Master file type (*.mif). Improved import of CxF data. When importing multiple measurement conditions in one CxF file a dialog appears asking the user to select a measurement condition. In addition the measurement instrument condition in a CxF file will be ignored now when importing which avoids the creation of too many separate libraries. Note: This also alters PantoneLive libraries, too so that reimporting and re-assigning the Pantone libraries will be necessary in existing configurations when upgrading from older ZePrA versions. ZePrA allows to restore the configuration of a previous job in order to re-run the conversion. ZePrA 7 saves the configuration of each job and makes it available for future job re-runs. Application case: A customer requests a reprint of a previous job and requires a similar or even identical color appearance. If that configuration has not been saved, or has been changed since, it is lost and it might be difficult or even impossible to remember the ZePrA settings used for that job. The new Restore Configuration option allows to restore a previously used configuration. It is available in the context menu of a selected job in the Processed Jobs section in the Overview. Job Warning settings can be customized within each configuration. Job warning messages can be defined as errors, warnings or set to be ignored. The Auto Setup dialog for Apply Gradation Curves only has been streamlined allowing to select linearization DeviceLink profiles directly from the drop-down menu. There are several other changes making the selection and editing of curves in the Configuration/Gradations dialog easier and more versatile. The dialog to add and edit gradations under Configuration/Gradations has been changed. A new option to load external files has been added (new button Load Curves) and the previous import/export buttons have been removed. Gradation settings can now be transferred with the context menu entries Copy and Paste. Improved profile search in drop-down menus allows quick and easy profile selection (similar to CoPrA 5). The total processing time of a job has been added to the job report. The progress of processing jobs provides more information about the file such as the progress of SmartLink calculations. A new dialog to delete queue folders and files when deleting a Configuration has been implemented. Delete Queues makes deleting unused configurations, hot folders and files easy. Fast track for import of single files: Right click Queue in Overview and import a file directly into a hot folder. Easily re-order the processing sequence of selected spot color libraries in the Configuration/Spot Colors dialog Preferred Spot Color Libraries: new Move to Top/Bottom buttons. The configuration dialogs for Gradations, Spot Colors and PDF Layers have new context menu controls such as copy, paste, delete making it easier to modify entries. Improved security mechanism for computer serial numbers under Windows. Note: Clients working with an older ZePrA version with a license key for a computer serial number on Windows will see a new serial number in the Registration dialog if they upgrade to ZePrA 7 and higher. The former serial number had a “-5” ending while the new one can be recognized by a “-9” ending. New Queues option to add a Delay before processing a job. This can be helpful if large files are copied to hot folders shared via the network. Includes the improved Measure Tool v2.1 that has been introduced in ColorAnt 5.1. Updated Callas PDF flattening engine, version 10-0-471. Fixed inversion of PDF elements in DeviceN or Separation color space “Black”. This bug was introduced with the previous version 6.1.1 and we recommend all client to update. Fixed unwanted quotation marks around spot color names after exporting a spot color library as CxF file. Fixed loss of performance with SmartLink (generating DeviceLinks on-the-fly) calculations. Note: Via Import beside the ZePrA CCF format either a Named Color ICC profile or a text (CGATS) file can be loaded in the Spot Colors tab of Configuration. The Information section of the table will show the name of the imported file. Now the Automatic Import feature supports Named Color ICC profiles and loads them as Spot Color Libraries, too. When saving the spot color report the default file name now includes the data source and the configuration name rather than only the generic name SpotColorReport. Note: The CGATS or CXF file contains the spot color names and the values from the Lab (Profile) column. If multiple configurations are selected, the CGATS file contains multiple data sets, one for each configuration and the CxF option is not available. Update of the CrossXColor profiling engine. ZePrA 6.1 now uses the same engine as the recently released CoPrA 5. This allows application of the new features introduced in CoPrA 5 such as improved ink savings, new gray balance modifications, used channel functions and additional Multicolor features – see details on our CoPrA 5 online help webpage. In addition ZePrA 6.1 recognizes the new CoPrA 5 version – when installed on the same computer – and will share presets with CoPrA 5. Older CoPrA versions can then no longer share presets with ZePrA. Fixed wrong calculation of CheckSum entry in PDF/X-5n output intents on macOS systems. Fixed that the spot color All has been converted accidentally in a rare case. This happened when the spot color conversion was set to Convert with PDF Alternate Color Space and Tint Transform and the spot color rules table was not empty.The spot color All has then been converted even if the checkbox Don’t convert Spot Color All was enabled. Fixed an index error when the last Spot Color Library was deleted after its content has been displayed. The update of ZePrA 6.0.2 is recommended for any ZePrA 6 customer and can be downloaded free of charge via the Update Check in the application. This update is important as it fixes issues with the view of PDF processing, and PDF files now have unique file identifier IDs when generated. All other bug fixes and updates are explained in the Online Help. The update of ZePrA 6.0.1 is recommended for any ZePrA 6 customer and can be downloaded free of charge via the Update Check in the application. This update is important as it fixes issues with installers on newly installed Windows systems and with start up issues on macOS systems. Additionally, the search & filter function has been improved. All other bug fixes and updates are explained in the Online Help. 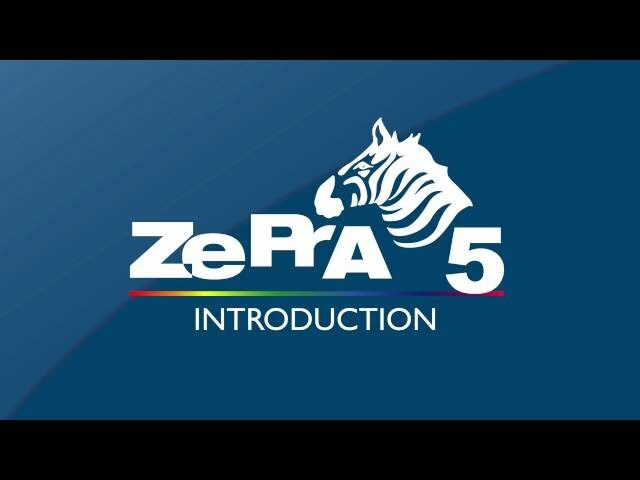 While ZePrA 5 focused on an increase in production speed, ZePrA 6 introduces new features to broaden the versatility of this color server once again. 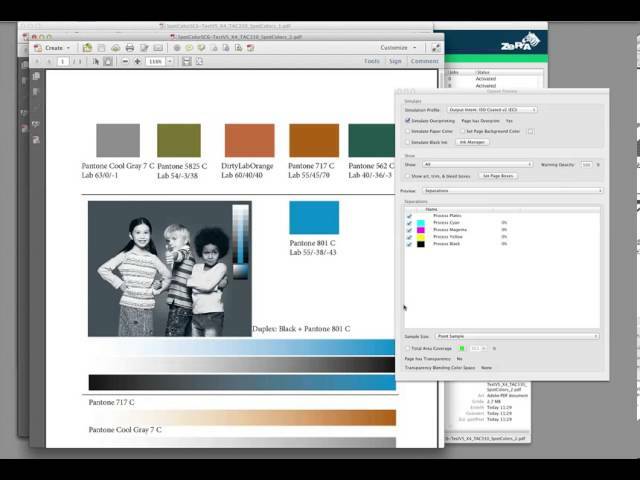 ZePrA 6 now offers a connection to the cloud services of PantoneLIVE and allows to improve the conversion of spot colors to process colors by iteration. Especially power users will enjoy the new note, search and filter functions. Fixed quality issue with some RGB scanner profiles in combination with monitor target profiles (Ticket #170258). Fixed a spot color conversion problem that could occur when converting multiple jobs containing the same spot colors in parallel (Ticket #170253). Fixed the bug that importing a spot color library overwrites an existing library which had the same name earlier and had been renamed. Updated ColorAnt version included in installer. The Spot Color Report contains the listing of device color values and their Lab color values as well as additional statistical information. For each configuration the average variation of all spot colors in DeltaE 2000 (Average dE00), the Maximum dE00 and the corresponding color name as well as the Median in dE00 is displayed. Furthermore, the number of spot colors, which are below 1 dE00 and can therefore be printed very accurately, is specified as a percentage. The number of spot colors that are below the threshold value specified by the user in the relevant configuration (e.g. 2.5 dE00) is also shown as a percentage. If a PDF file with spot colors is selected for a spot color report the file name will now appear in the report. Note: It is important to note that the export of spot color libraries into formats other than our internal CCF format is always an excerpt and should only be used when the full tone is relevant. Most of the other supported formats are limited in their functionality and cannot handle mixed data such as data that consist of Lab and spectral data, gradations or measurement values based on a black background. All this information can be present in a spot color library in ZePrA. Even CxF/X-4, which is designed for the exchange of spot colors between different applications, is still limited. Spot color libraries in the drop-down menu Library are now alphanumerically sorted. In Configurations of Spot Colors you can disable the Gamut Warning in the pEdit Spot Color Conversion dialog. The option Disregard Gamut Warning Setting was requested by customers, who would like to receive a general warning when exceeding the DeltaE2000 Limit during spot color conversions, but do not need a warning for special spot colors. As of version 5.2, ColorAnt 4 and the Measure Tool are included in ZePrA. Measurements of spot colors are now executed using the Measure Tool rather than UPPCT. Detailed information about the Measure Tool can be found in the online help. Note: As of ZePrA 5.2 and higher ColorAnt 4 will be installed automatically. If you choose not to install ColorAnt and you still have UPPCT from previous installations on your computer, UPPCT will be used as a backup when utilizing the Measure feature in ZePrA. However, we recommend to install ColorAnt as all new features and devices are included in the Measure Tool. The ZePrA 5.2 installer contains a new DLS-Manager version 1.3 with four new DeviceLink profiles (ISOcoatv2_to_PSOuncoatedv3_TAC280_CoLoV6.icc, WAN-IFRAnewspaper26v5_TAC220_CoLoV6.icc, WAN-IFRAnewspaper26v5_SaveMax200_CoLoV6.icc, WAN-IFRAnewspaper26v5_SaveMax180_CoLoV6.icc). The DeviceLinkSet documentation explains which profile belongs to which set. A new feature is available on the PDF tab of Configurations, which ensures that private application data in PDF files will be removed. For instance, such data can be stored optionally by Adobe Photoshop or Illustrator when saving files as PDF. However, other programs can use so-called “piece information” in PDFs as well to place non-public application data in PDF files. This allows the subsequent opening and editing of the original file in the previously mentioned applications. However, for color-converted files this application data can be misleading as it will not be converted. Reopening these files in the above mentioned applications will then only display the original but not the converted color information. Additionally, PDF files which contain piece information can be significantly larger. To obtain smaller files (without piece information after conversion of PDF files) select the function Remove private Data of other Applications. 16 bit images of PDF files are now automatically maintained as 16 bit images and will no longer be reduced to 8 bit. Previously, ZePrA only handled pure pixel files (TIFF and PSD files) in that way. Note: You can force a reduction to 8 bit during the conversion if further processing in workflows or RIPs with 16 bit PDF files will cause problems. To do this, activate the checkbox Enhance RIP Compatibility of complex Graphical Elements on the PDF tab under Configurations. Job Properties now also include the job ID to better identify the report of a respective job. ZePrA now allows to load special linearization DeviceLink profiles to create gradation corrections. When importing such profiles, the channel name will automatically be associated with the corresponding curves. For linearization DeviceLinks with additional spot colors the channels are created automatically. The rendering intents stored in the PDF file are now also considered for elements without profiles (DeviceRGB, DeviceCMYK or DeviceGray). This allows a more consistent processing of both ICCbased and non-ICCbased elements. An updated Callas engine has been integrated including the current Adobe PDF engine for PDF transparency flattening. This resolves some problems related to flattening. If configurations that contain demo profiles are imported (Import Configurations) the demo profiles are now copied into the provided Demo Profiles folder rather than the system folder for profiles. The error appearing under Windows in which a temporary dummy file was created although flattening had been aborted because of a time-out has been fixed. The Spot Color Report function no longer ignores the sort function As in Source Data. The information on printing sequence of spot colors in the document will now be considered if the checkbox Use Printing Sequence from Document under Configurations/Spot Colors is activated. When entering a name for a Spot Color Library ZePrA now checks for uniqueness of a name and only allows unambiguous names. In the past a library was accidentally deleted if two or more libraries with identical names existed at program start. Before processing files from a hot folder ZePrA now checks in advance whether something in the corresponding configuration has been modified. Previously, these files were processed with the settings they had when they were copied into the hot folder and therefore any modifications to the configuration made afterwards were not taken into account. The error that terminated ZePrA when closing the window CIE Conversion on the tab Spot Colors under Configurations has been fixed. A rare error when importing a configuration with external Gradations without queues information has been resolved. The error message no longer appears. The error that some manual spot color conversions for Images or Vectors (on the Spot Colors tab under Configurations) have not been applied, has been resolved. The unfortunate entanglement of various settings regarding Profile Assignments has been resolved as well. The spot color conversion of 16 bit files is now fully supported and no longer leads to errors. An error concerning copy & paste of spot color rules (on the Spot Colors tab under Configurations) has been corrected. In relation to that we added an error message when copying spot color rules with incompatible color spaces. Note: The new ColorAnt 4 feature Export CxF/X-4 files allows to create and edit extensive spot color libraries using the full range of options. Subsequently, these libraries can be used in ZePrA. An undefined function error message appearing when converting 16 bit image files with a Correction DeviceLink profile applied has been fixed. ZePrA 5.1 includes the new version of UPPCT v2.3.5 that supports the X-Rite eXact instrument. The speed of converting files with many spot colors has been tremendously improved compared to the previous version. The language support for Japanese and Polish has been improved. Both languages provide translations for the new features added and the GUI changes in ZePrA 5 now. A new error message has been added in case a file has been selected for a second time via the feature Repeat Job in the context menu while the first job is still in the Input queue. The Screen Preview of TIFF and PSD files converted to Multicolor has been optimized. The Multicolor target profile will now be automatically selected as Simulation profile. This can be seen with the leading word Output Intent. The Default Profiles for CMYK and RGB will be disabled for Multicolor images. An error message appearing in the Screen Preview with PDF files using a spot color None has been fixed. Incorrect links to the Online Help have been fixed, for example in the dialogs Queues and Screen Preview. Translations of Alternate and SpectralData in the Spot Color Report have been added. Note: This is an important fix for power users using the CLI as it probably fixes some sporadical issues with USB dongles with Virtual Machines. Performance issues on Mac OSX when processing image files with multiple threads have been fixed. The unwanted accumulation of XML files in the folder for temporary files when processing files with transparency reduction has been fixed. Configurations drop down menu. This happened if Queues have been manually sorted in the Overview dialog. Note: Other sorting options like highest number on top are not reflected in the Configurations drop down menu but only typical sorting with lowest number on top and manually sorting. Queue status information such as warnings in case of issues with configurations disappeared when a Configuration dialog has been opened. This has been fixed. A dialog with an overwriting question for already existing SmartLink presets are very helpful in case of manually importing a configuration. However they are in the way when the new cloud feature Automatic Import (see online help of the Preferences) is used. This has been improved now to allow automatic updating and adding of configurations including all related settings. The same CrossXColor engine that is used in the recent version of CoPrA will now be used in ZePrA for on-the-fly creation of DeviceLinks. This makes sure that DeviceLinks created with ZePrA are identical with profiles built with CoPrA using the same settings. ZePrA 5 is a 64-Bit application which allows use of more RAM for processing multiple files at the same time. The processing of PDF files in ZePrA 5 will be faster due to the use of additional threads in jobs processing. The main speed improvements will be experienced when processing multiple files at the same time. Due to multithreading, ZePrA will take advantage of modern multi core CPUs and will process several files simultaneously. As a default, ZePrA uses the same number of threads as physical CPUs that are available. In addition the number of logical CPUs are displayed which are often double the size of logical CPUs. The maximum number of threads equal to the logical CPUs may be used. Example: on a 4 core CPU MacBookPro the processing of 135 files with 2.8 GB of file size with ZePrA 4.7 took 30 minutes, whereas ZePrA 5 only took 7 minutes to process. The slider panel has been revamped and additional tools have been added. Some of the tools are from previous versions of ZePrA, e.g. the SaveInk Report and Extract ICC profile. The Spot Color Report feature is a new major feature and will be explained on page 4. The biggest changes of the GUI are in the Configuration section where fewer tabs are used. For example, the previously separate Images and Vector color management settings have been combined into one tab. Additionally, the SmartLink and the Target tabs have been removed and their functionalities have been added to the Document / Target tab. The Document / Target tab is the new center of each configuration as it contains the settings for Document Color Space, all Target color management settings and the SmartLink Method. This improves the visual clarity of the configuration. The new Spot Color Report feature is helpful to check the spot color conversion before printing. It is now possible to check a specific PDF file with spot colors that needs to be converted or how a spot color library with multiple Pantone or other spot colors would be processed through ZePrA. Note: Only the configurations with enabled spot color conversion are shown in the list. Under Source Data select File or Library. File allows a PDF file with spot colors to be loaded and processed with the selected configurations. Library allows selection of one of the spot color libraries that is located in the ZePrA set up for processing. Both options provide a look at how a spot color conversion result will be in terms of deltaE00, deltaE76 and in terms of the process color breakdowns. With Sort by, you can define how the list will be sorted. When sorting by Delta E, the spot colors with the lowest dE will be on top and the largest dE on bottom. Note: The report generation will use all of the spot color settings that have been selected in the configuration(s), including manual settings and warnings. Colors with warnings will be shown with red deltaE values. After the settings have been defined, a report file can be generated with the help of the Save button and/or it can generate a Preview first. The screenshot shows the preview of the spot colors found in a PDF file and processed through two different configurations. The Preferences dialog (see screenshot on page 2) allows customization of the generated report with a custom logo and a custom sub title. The GUI for Spot Color conversion has changed. More features have been added and the dialog looks cleaner compared to previous versions of ZePrA. To enable the advanced Spot Color Conversion simply select the radio button. The alternate color space definition in the PDF document can also be used, which provides a lesser quality result compared to the advanced options with ZePrA. This allows comparison to the default spot color conversion results from basic printer drivers, RIPs or Adobe Acrobat. The selection of the Spot Color Libraries in ZePrA is now available by clicking on the ellipsis button located to the right of the selected library. The dialog Preferred Spot Color Libraries offers several new features. Selection of multiple spot color libraries is now an option. The option to Include Other Libraries is available below the list as well. Automatically including all libraries may not be beneficial since it is possible that a spot color from a library could be automatically selected that does not match the target printers capabilities. For example, if one library contains the spot color printed on OPP foil but the target profile was printed on paper, this would not be a match. In these cases it is better to manually select those libraries that fit the printers requirements in the list. With the help of the Move Up and Move Down buttons, the selected libraries can be prioritized. Those libraries on top have the highest priority. There are two new options available that are independent from the libraries in ZePrA. Embedded CxF Data is a great new feature that allows automatic use of any available CxF/X-4 spectral data for spot colors in PDF files. CxF/X-4 has been an ISO standard since 2015 and has been designed to define spot colors by measuring and storing spectral information of ink solids and tints, on substrate and process black. This spectral definition allows color management systems like ZePrA to better proof and reproduce spot colors. The alternate option is to use Lab Values from PDF Alternate Colors instead of using a library. New versions of Adobe InDesign will save Lab alternate color space values in the PDF instead of CMYK, as in the past. In the case a spot color does not have a CxF value or is not available in a spot color library, the Lab alternate value from the PDF can be used and processed with the advanced ZePrA calculation methods. Note: In the case of the alternate color space in the PDF not being Lab but e.g. CMYK, ZePrA would not use it and would regard the spot color as undefined. The new feature Clip Output Values Below provides a user defined percentage value and is a feature that our Flexo clients have requested. If for example, printing tints below 3% is unstable on press then 3 needs to be entered as threshold in the number field. ZePrA would then not use any process color breakdowns with less than 3%. Note: If this feature is used and the threshold is set too high, it will be very likely that a converted light spot color will result in higher deltaE values, so be careful with this option. The Gamut Warning selection includes a new option called Keep Spot Color and Show Warning. Until now a spot color deltaE warning could be either ignored, warned about but still converted, or regarded as an error which would prevent converting the file at all. With the new option the spot color with warning will not be converted but preserved and all of the other spot colors in the file would be converted. The CIE Conversion button has been added This option is very useful for special applications such as textile printing. In the textile industry the standard illumination is D65 and the 10 degrees standard observer is the default. Users can now change the Lab values that are used in ZePrA for conversion by selecting the CIE Conversion Settings. This option only applies for spectrally defined spot colors and only makes sense if the target profile was created with a matching illumination and observer. Note: The default setting is D50 and 2 degrees observer. Sorting for Queue Names, Configurations and Status is now enabled by clicking on the table headers. Previously, sorting of Queues was not possible. In addition, a queue ID has been added which allows for “natural” sorting, e.g. with the newest queue either on the bottom or the top of the list. The section for Processed Jobs has an additional column for the Date and time stamp. This can be very helpful to find a specific data and time a job was processed. In the Auto Setup Wizard for Save Inks a new step has been added that allows the user to enable or disable the ink saving calculations. The calculation can slow down the processing time considerably so that users can disable this feature gaining higher performance in the Wizard. Companies using ZePrA in multiple locations will benefit from the new Cloud features in ZePrA. By defining a shared folder in the Cloud, (e.g. Dropbox, GoogleDrive, internal Cloud or network) it is possible to share configurations and spot color libraries easily. For example, a Flexo printer continuously adds more spot colors from his ink kitchen, which shall be used in ZePrA’s spot color conversion. By simply saving the spot color library in the shared folder, every location connected to this shared folder with a ZePrA installation will automatically be updated. Note: The folder supports ZePrA’s spot color libraries (*.ccf files) as well as spot colors stored in CxF files and ZePrA configurations (*.ccf files). Simply enable the checkbox Enable automatic Import from Folder under Preferences and select the same shared folder. Files that have been marked with a yellow warning message in the Overview dialog of ZePrA are still processed but may have an issue. By default those files are stored in the Output folder. To identify such files easier, manually define a separate Output Folder in case of Warnings in the Queues dialog. In the Flattening dialog a new option has been added that allows to Use the document colors space as transparency color space on page level. This can be helpful if a file with an RGB transparency blending space shall be converted from CMYK to CMYK. In this case a more reliable results will be achieved if the transparency blending space is CMYK and not RGB. The new option will overwrite the transparency blending space on page level and will use the profile defined as Document Color Space in the respective configuration. The Minimal Compression rendering has been added as an additional perceptual rendering option for the SmartLink conversion. This rendering is known and appreciated by CoPrA users and is now available in ZePrA. This rendering intent allows an absolute colorimetric reproduction and compensates only close to the black and white point. This means the maximum black point will be reached and will not simulate white. The rendering intent may be used to achieve a very close reproduction of a print standard, e.g. ISO Coated V2 or GRACoL2006 Coated1v2 on a digital printer. Note: Similar to the absolute colorimetric rendering intent, ensure that the target color space is larger or at least the same size compared to the source color space that should be simulated to avoid any loss of structure and details. For color conversions from large to small color spaces, please use Absolute Compression instead to maintain the gray balance and color appearance of the source color space. The soft proof feature has been greatly improved. Access this by right clicking a converted file in the Processed Jobs section of the Jobs and Queues Overview dialog. It now uses a rasterized version of the file for displaying on screen so that the transparency and overprint are correctly simulated. One of the great new abilities of the dialog is to show multicolor files, e.g. files with a Multicolor output intent, correctly on screen. The Softproof Color Management Settings dialog has been optimized. Similar to the Output Preview in Adobe Acrobat the Simulation Profile setting is the most important setting of the dialog as colors will be rendered through the selected simulation profile to the monitor profile. As a default, the output intent that ZePrA has embedded in the processed file will be used and shown in brackets. Note: The Default Profiles on top of the dialog and the Prefer embedded Profiles checkbox are only relevant in the case that the simulation profile differs from the color spaces in the file itself. Please visit our new and improved Online Help page. Similar to CoPrA and ColorAnt each major dialog in ZePrA 5 has a new question mark sign that leads directly to the help pages of this section providing descriptions and insides with a click of a mouse. This option will reprocess a job and in the same queue needing to copy the file manually in the Input folder of the queue. To access the feature right-click to bring up the contextual menu in the Overview window and choose Repeat Job. For PDF files with numerous pages (multi page PDFs), you can specify which pages should be color-converted and which should not. This is a very useful function on the Configuration/PDF tab in section Advanced Options when a multi page PDF is used for a variety of printing tasks or display outputs. The Convert all Pages option is selected by default. If you want to just convert certain pages of your multi page PDF document, select Convert Page Range and enter the relevant page numbers – Example: 3,5, if only pages 3 and 5 should be converted. If you want to convert pages 3 to 5, then enter 3-5. Separate pages with commas. Note: With the little arrow at the right side you have additional page selection rules that are explained below. If you want to convert all pages except 3 and 5, select Don’t convert these Pages: 3,5. If you wish to extract certain pages that should be color converted use the option Convert these Pages and remove the remaining Pages. Or the other way around if you wish to remove some pages but the rest of the pages should be color convert use the last option: Remove these Pages and convert the remaining Pages. Additional page selection rules can be selected in a drop down dialog that opens if you click on the button with the arrow on the right hand side. These rules are important in cases you do not have the specific page numbers at hand. For example if you wish to color convert the cover pages of a magazine differently to the rest of the pages, you may select the rule First and last Page. The rules are self explanatory and can be applied to any of the Pages options except Convert all Pages. The new UPPCT supports a few more languages. It supports now Croatian, Serbian, Bosnian and Czech languages, too. Not all special characters are correctly displayed though. Settings for the X-Rite i1Pro 2 instruments for remission and scan readings have been fixed. Fixed an issue with wrong measurement data with Konica-Minolta FD-7. Improved the Barbieri Device Wizard (stability, usability). Fixed the bug that UPPCT crashes when trying to switch from the Virtual Device to Barbieri Spectropad. The new printing references for FOGRA51 and FOGRA52 have been added for comparison purposes. Note: For using the comparison feature a license is needed that you can buy from the Ugra. Fixed conversion of repeatedly used forms with different color settings in the graphic state but no color setting in the form itself. This is a very rare case. Fixed and documented the CLI option continueaftererror. This option specifies if the execution of jobs shall continue after a job error and further files listed on the command line shall be processed. If this option is disabled, execution stops after a job error and 1 is returned to indicate that an error has occurred. Note: If you require the CLI documentation for integrating ZePrA in third party solutions please get in contact with us: supportdesk@colorlogic.de. Since ZePrA 4 you can share DeviceLink settings between CoPrA and ZePrA so that ZePrA can build DeviceLinks on-the-fly with SmartLink. The Share with ZePrA feature included in the DeviceLink module of the recently released CoPrA 4 works now with the recent version of ZePrA 4.7, too. With the release of our profiling solution CoPrA 4 the profile quality has been increased. ZePrA will benefit from the increased quality because the same profiling engine has been integrated making SmartLink even better. Note: Customers using the SmartLink module will get CoPrA 4 SP with it. In addition the reprofiling capabilities has been integrated in CoPrA 4 so that customers only need one software for all profiling needs and no separate DocBees Reprofiler application any more. New customers and existing ZePrA L and XL customers with a Software Maintenance Contract will get access to CoPrA 4. The newest callas PDF-Engine for flattening transparencies has been integrated making it compatible to flattening results from callas pdfToolbox 8.3. Overprinting effects in PDF files are defined with the OPM flag. Objects overprinting other objects have an OPM flag set to 1. However, objects that are tagged with an ICCbased CMYK profile loose their overprint status when converting to DeviceCMYK in case the default setting Preserve overprint effects if possible is enabled in the PDF tab of the Configuration. This is in accordance to the PDF specification but it is not desired in all cases. For example this may lead to unwanted effects after PDF normalization through ZePrA. Therefore ZePrA will prevent changes to the OPM flag in case the ICCbased color space and the Document or Target color space describe the same output condition. Note: For example if the ICCbased color space of an object in a PDF file is CoatedFOGRA39.icc and the Document color space is ISO coated V2.icc both color spaces describe the same output condition and ZePrA will maintain the OPM flag as designed in the PDF file. There will be a new job warning marked in yellow in the Overview dialog in cases of incorrect Profile Assignments. For example if for a desired CMYK to CMYK conversion an RGB DeviceLink has been assigned this can’t work and ZePrA will ignore such assignments, convert the file using either SmartLink or typical ICC profiles and show a warning. Several issues when rasterizing PDF files in configuration with RGB Document and Target profiles have been fixed. Quality issues when flattening some smooth shades haven been fixed. The error has been fixed that an overprinting object in a PDF files has not been correctly converted. Objects with spot colors in PDF files that are converted to an RGB target profile will no longer be inverted. The error has been fixed that converted images with indexed color space and Decode array have been inverted in case Sharpening has been enabled. Gray inline images with Decode Array are no longer inverted after conversion with ZePrA. Custom SmartLink presets used in Multicolor workflows have not been exported when using the Export configuration Tool. The error message File not found has been fixed which was based on a slash in the file name of an embedded ICC profile. A typo has been fixed in the Job properties dialog under Signatures (removed). Fixed the bug introduced in version 4.6.2, that profile lists were not updated automatically. When ZePrA was started with empty configurations, for example the first time on a computer where ZePrA wasn’t used before, all profile lists were empty. SmartLink no longer applies color conversions between identical profiles for conversions from Document to Target color space. Quality improvements in spot color conversion for lower tints values of spot colors in case that a spot color gradient is available in the spot color library. Fixed handling of corrupt embedded ICC profiles – in this case profiles with corrupt description tag. ZePrA will nonetheless convert with such profiles and will not shown a warning message. Fixed “format error” message with very large JPEG images under Windows. Fixed a PDF error that occurred for color conversion of spot colors with conversion settings using the alternate color space/tint transform from PDF and deactivated Lab conversion. Fixed unintentional merging of images with soft mask leading to wrong color output. Fixed a case where the current color was not synchronized before inline ImageMasks, which produced unwanted gray areas. Fixed transmission of job warnings when running in Enfocus Switch flows. Fixed unicode byte order in spot color names when reading or writing ACO files. This has lead to some strange signs showing up after importing ACO files. Fixed “index error” when loading special ACO files with multiple different device color spaces. Fixed conversion of nested patterns in PDF. This has led to an RGB image referred to in a pattern not being converted. Fixed several issues with preserved gray related to gradation curves, correction profiles and Multicolor output. The issue is fixed that AutoSetup sets the source profile for CMYK conversion of Images and Vectors to a default profile instead of Same as Document color space in case the Document color space is a Multicolor profile with CMYK+x. Note: In case the Multicolor profile does not use any CMYK channels the conversions settings for CMYK images and vectors however are set to a default profile (ISO coated V2) because CMYK needs to be normalized to the Document color space first in this case. Improved SmartLink default conversion for conversion into the Document color space for color conversions of CMYK-to-Multicolor and Multicolor-to-Multicolor. Fixed a crash case with a PSD spot color file in combination with spot color conversions. Fixed removal of background images which were placed behind image masks of same size. Fixed a case where DeviceGray elements disappear. Fixed spot color conversion for 3CLR output profiles. Note: Please take into consideration that Adobe Acrobat does not show PDFs correctly with multicolor output intents. In this case a converted PDF with 3CLR profile as output intent (PDF/X-5n) would be rendered completely white even if everything would be fine. The Update Profile module in CoPrA 4 and later will be able to update profiles based on a few measurements and optionally to create Correction DeviceLinks. Those profiles can be selected under Correction in the Target tab of a Configuration in ZePrA. ZePrA version 4.6.2 is required as previous versions of ZePrA won’t show those profiles in the choosers. The most recent ZePrA script (version 4) for Enfocus Switch is available from the Crossroads webpage now. Therefore there is no need for us to supply the script for manual installs in the ZePrA installer as we had done in the previous installer. Please check the Crossroads webpage for more information and download the configurator in case you have not yet updated. Note: There is no change from the script that was supplied in the previous installer of ZePrA 4.6 and that is available on the Crossroads page now. Fixed undesired modifications of cut contour lines after flattening. Fixed issues with option "Preserver Overprint Appearance". Fixed the bug that the option " Preserve Black for Vector graphics" sometimes didn’t work. 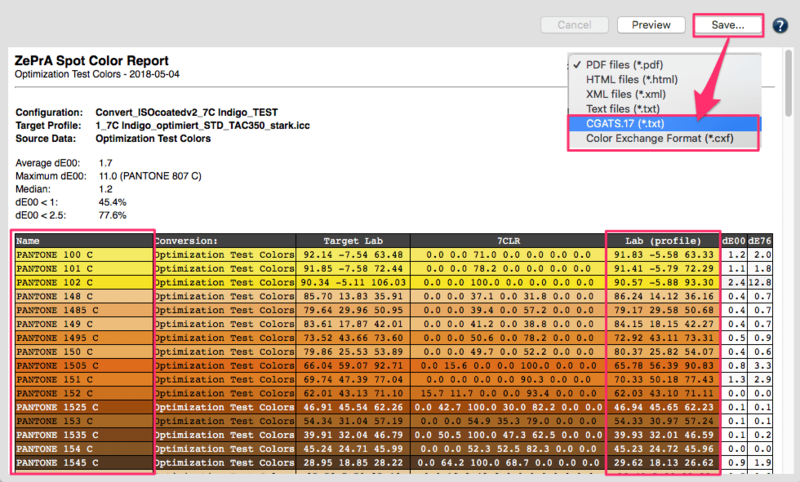 Fixed case sensitivity when comparing spot color names in profiles and PDF files. Improved removal of unused spot colors from soft masks after spot color conversion to press colors. Fixed the bug that unplugging a measurement instrument while measuring results in a serious error. Fixed the bug that sometimes measurement data was not transmitted to calling application. Added some missing translations for Barbieri device setup wizard. ZePrA converts all objects, including vector shading, with the highest accuracy and 16-bit precision. Every shading created based on a function in the original file, it is necessary to use a very large LUT (look-up table) to ensure a correct color transformation. Unfortunately some RIPs (e.g. EFI Fiery and Global Graphics MultiRIP) have issues in handling 16-bit shading and large LUTs. To avoid issues and speed up processing time of such RIPs significantly, ColorLogic has implemented a new option called Enhance RIP compatibility of complex graphical elements located under Configuration/PDF. Note: This option is not active in all existing configurations and for all new configurations created with the Auto Setup Wizard. Please activate this option whenever processing issues with your RIP after converting files with ZePrA may occur. Note: Both conversion DeviceLinks are the official profiles delivered from the ECI and have been created in collaboration with ColorLogic and CoPrA. Detailed information about the characteristic and the creation of the DeviceLinks can be found here. Overall there are 12 conversion profiles available for FOGRA51 and FOGRA52, TAC reduction and SaveInk profiles for both new standards. The exact naming of the profiles and a description of what profiles are available in which set is included in our DLS documentation. All clients with either a valid ZePrA 4.5 license or a DLS Manager license for one of our DLS sets (e.g. Basic Set or Sheetfed Set etc.) may install all new profiles free-of-charge by using our DLS Manager V1.2. Please talk to your dealer how to obtain the profiles in case you are no ZePrA 4.6 client. A new ZePrA configurator for Enfocus Switch is available: ColorLogic~ZePrA v4.enfpack. The new version 4 replaces the existing configurator (version 3) delivered with Switch. It fixes several issues and provides improvements especially for users of ZePrA 4.6 and higher. Bevor the new configurator will be officially available via the Crossroads website or with new versions of Switch you may access it already today. The installers for ZePrA 4.6 and ZePrA 4.1.6 will create a new folder within the installation folder of ZePrA called Switch Configurator that contains the updated configurator file and a readme. Double click the file ColorLogic~ZePrA v4.enfpack and click OK in the upcoming Switch dialog to update the existing configurator. Close and restart Switch. The new ZePrA configurator will be available in the list of configurators under Custom. In case you are already using Flows with the previous ZePrA configurator a dialog should appear upon restart of Switch asking you if you wish to update the Flows. If the dialog does not appear restart Switch again until the dialog appears. Accept to update the Flows. To activate the Flows again select Restart Switch Server in the File menu. You are now up and running. With ZePrA 4.6 and higher a new command line version of ZePrA called zcmd will be installed along side with the GUI version of ZePrA. The zcmd is intended to be used for any command line applications including Switch. In case you are setting up new Flows in Switch with the new ZePrA configurator and ZePrA 4.6 and higher the configurator will automatically use zcmd for the communication and file conversion between ZePrA and Switch. For existing Flows however and after updating the configurator the ZePrA 4.6 application itself will still be used for the communication and file conversion between ZePrA and Switch. As this has some disadvantages and restrictions we suggest to change this. To do so you need to set the path to the zcmd in the ZePrA configurators settings in Switch. In order to define the path correctly open the package file by simply right clicking on the ZePrA.app and selecting the Show Package Contents entry from the drop down menu (see screenshot). After that navigate to the subfolder Contents/MacOS to find the zcmd executable. Now use this path in the ZePrA configurator. The warning message Conversion setting is disabled in the tab Images has been replaced by a more understandable message differentiating between the settings in the Images and Vectors tabs of the configuration. In case ZePrA detects defective ICC profiles embedded in PDF files a yellow job warning message is displayed in the Overview dialog. If possible, ZePrA will convert the file nonetheless. In case conversion is not possible a red error message appears and the file is send to the error folder. Improved support for X-Rite i1Pro and Konica Minolta FD-7/5 through integration of the most recent vendors SDKs. Fixed major issues while measuring with Konica Minolta FD-7 under MacOSX. Improved support of the Barbieri instruments SpectroLFP and SpectroPad. Improved wizard for measuring multiple page test charts with Barbieri SpectroLFP. You will find a step-by-step description about how to use the wizard here. Use the controls on the upper left to manually position the head (Fig 4) or with the Auto positioning option (Fig 5) (applicable if the chart has the required borders and marks). With Auto positioning selected, clicking Next (Fig 6) will start chart measuring the entire chart. For manual positioning click Next (Fig 6) to set the bottom corner of the test chart. The 4 arrows will change the position of the measurement head (left, right, top, bottom). Raise and lower the head with the double arrow in the center. The second wizard page sets the position for the upper right corner with the same as above procedure, then click Next. The final manual positioning page sets the bottom right corner with the same procedure and click Next. Rows per Page: Enter the number of rows on the test chart page. If the test chart consists of multiple pages, enter the number of rows on the first page. 2. Recalibrate the table and use the manual controls as described above for two edges of the test chart page. The third corner is calculated automatically. IMPORTANT: If the second page is placed EXACTLY where the previous page was placed, click Start without recalibration. The previous coordinates will be used. The Use auto positioning option will be selected automatically. Click on Start the auto positioning feature for the next page. PDF files with objects with invalid references in the Color Space resources have led to a general PDF error message in previous ZePrA versions. Despite the fact that such PDF files are defective and should be fixed upfront this error is ignored in the new ZePrA version so that such files will be converted. The mistake that a queue sometimes stopped when a defective PDF file was detected instead of sending that file to the error queue and progressing with other files has been solved. The problem in the Switch environment has been fixed, that output files were not delivered to outgoing connections, when their type differed from input (e.g. JPEG converted to TIFF). To make this work a new ZePrA configurator for Switch is required. No system error will be displayed any more in case a queue has been set up with a temporary folder. The screen preview of such files is working again. Conversion of PDF files with images having a Separation Black colors space as direct object is supported now and does not lead to a general error message any more. Conversion of PDF files with images having a Separation Black colors space is working now and does not leads to a PDF error message any more. Fixed spot color conversions in configurations with an RGB target profile especially with the spot colors called None. Fixed a case where a spot color used in a Pattern color space disappeared after conversion. A rare crash of ZePrA has been fixed in configurations converting CMYK to RGB in case of small image objects below 10 pixels width using the All color space. Fixed that in new configurations the Preserve overprint effects if possible option in the PDF tab could be active, though the checkbox was switched off. Fixed a case where an image disappeared due to wrong treatment of an image mask. Fixed the bug that profile assignments and/or spot color libraries exported using the Export configuration feature without activating at least one configuration checkbox could not be reimported. Note: When importing such CCF files an empty Import Configurations dialog will appear. However when clicking OK spot color libraries and profile assignments will be imported. Fixed the bug that when a conversion setting is set to No conversion in the Images and Vectors tabs, but the checkbox Apply embedded profiles/intents was enabled, that color space has been converted nonetheless. Fixed an argument error when the alternate color space of a DeviceN object is using a CalRGB color space. Fixed that a PDF file after conversion with ZePrA was not processing in a following RIP process. In rare cases text state operators in text clipping objects have been accidentally removed. Major improvements to converting PDF files that contain overprinting objects. Improvements to spot color conversion performance and spot color conversion quality. In addition, the Spot Color Module’s options have been expanded to include proofing scenarios. All profiles of the DLS Basic package are included with ZePrA 4.5 Basic. ZePrA 4.5 is a paid upgrade for all customers (including ZePrA 4 customers). Customers that have a current software maintenance agreement qualify for a free upgrade. An updated license is required that can be ordered from us. Please be aware that installing ZePrA 4.5 will overwrite a ZePrA 4 installation and ZePrA 4 preferences and settings are retained. ZePrA 4 licenses are not valid for ZePrA 4.5 and the following warning message will be displayed. The spot color module in ZePrA 4 offers excellent quality for color conversion of spot colors to process colors. Nevertheless, in many cases overprinting spot colors may cause incorrect results, especially when combining spot color conversions and transparency reductions. You will face the same problems with other tools, such as Acrobat Pro, callas pdfToolbox, Enfocus PitStop and color servers from other vendors. Read more in the White Paper. ColorLogic has developed an efficient technology to solve general overprinting issues without rasterizing the entire file. This technology can be applied to a file whether transparencies are present in the file or not. Starting with our new ZePrA 4.5 release this technology will be activated by default in all Presets within the Transparency flattening feature shown in the screenshot. The two options Preserve overprints and Preserve overprint appearanceare independent from each other. If the checkbox Preserve overprints is deactivated, all overprinting objects will be flattened in the same way as transparent objects. In both cases (overprinting objects and/or transparencies), post-processing of spot colors may lead to unwanted results. This issue can be solved by simply using Preserve overprint appearance. Especially during conversion of spot colors to process colors, the preset Dissolve overprinting should be used to ensure the best possible conversion of colors and vector objects. The Calculation method defines how ZePrA converts spot colors, combinations of spot colors and process colors, or several spot colors to the target color space. ZePrA 4.5 adds an additional method Precise matching – proofing. Use Precise matching – proofing when reproducing spot color precisely on a proofing device is required. Please be aware that this method is not meant to be used in production as it may use all process colors to achieve the closest match (based on DeltaE 2000). The full tone will be calculated in a way that it will result in the lowest possible DeltaE 2000 value. No channel minimizing and print optimization will be applied. Example: The spot color Pantone Cool Gray 7 C converts to CMYK (FOGRA39) with 0.1 Delta E. With the method Precise matching – proofing it may be that all available output channels are used (left screen shot). In the screen shot on the right side you see the conversion of the same spot color with the method Use as few channels as possible. This conversion method focuses on the usage of less channels while maintaining the best possible color match. In our example this will lead to a very low DeltaE 2000 value of 0.6. Note: A ColorLogic PDF test file containing several spot colors is available for download. One of the most challenging tasks when converting spot colors is the combination of spot colors with other process colors or spot colors. ZePrA’s spot color module was already successful in creating high quality conversions. With ZePrA 4.5 we enhanced this even further. Noticable improvements have been made to the quality of our spot color conversion while we accelerated the calculation time dramatically. Meanwhile, the conversion of spot colors is done on-the-fly. They are so fast that we are not able to show the status of calculating the different spot colors anymore. More information is available in the White Paper. Beside the major improvements of ZePrA 4.5 listed in the introduction there are several other enhancements. New features are documented in the revised ZePrA manual via the Help menu. The ZePrA installer includes an updated version of the measuring tool UPPCT version 2.3.1 for measuring test charts and spot colors. When starting ZePrA the user interface will be shown only after final initialisation. The initialisation steps will be shown in the splash screen. The most recent technology for flattening of PDF files has been integrated. The Workflow Validator has been extended with additional checks and warning when profiles used in configurations are missing. When clicking the Clear List button on the Overview dialog the Processed jobs the user is now prompted whether or not to clear the list. A yellow job warning will be displayed in instances where Prefer output intent is switched on in the configuration (Document Color Space tab) and a job with an incompatible output intent that would be processed. For example: a CMYK output intent is expected from the configurations settings but a file with an RGB output intent is chosen or vice versa. ZePrA will disable the option Prefer output intent for such a job and process the file correctly. When importing a spot color configuration in the Configuration/Convert Spot Colors dialog existing entries in the table will not be overwritten. New entries will be added to the table. When multiple entries are present a warning message will pop up asking if the table entry shall be overwritten or not. ZePrA 4.5 now supports PSD output with RGB target color space and additional spot color channels. A non-informative error message when loading expired or false licenses in the Register dialog has been fixed. Pixel files with indexed colors can now be processed. Calculated color results of overprinting spot colors that are converted to process colors, are no longer dependent on the color sequence in the DeviceN object, which could lead to inconsistent results. The error message “PDF error” has been corrected, which arose when the Information text for the Output Intent PDF/ X in the PDF tab was empty. The error that after clicking the Clear List button on the Overview page the list of Processed Jobs was indeed cleared, but reappeared the next time ZePrA was started has been fixed. With the addition of Preflight tools that verify PDF/X-5n files, minor bugs have been resolved. Note: ZePrA will automatically generate a correct PDF/X-5n if any valid PDF/X file (no matter what standards) are converted to multicolor. The processing of 16-bit multi-color bitmap files are now supported. ZePrA can create a configuration with the help of the Auto Setup wizard, which serves for Direct color conversion to a new output condition including gray color space is specified as the document color space. For TIFF files with spot color channels without colorant information, the ink saving can now be calculated. Importing a spot color library with with same file name caused an error, this has been resolved. The new ZePrA 4.1.5 will be the last free update for all ZePrA 4 customers. ColorLogic added a couple of important bug fixes to this version. Any ZePrA 4 client will be able to update to ZePrA 4.1.5 for free. Going forward, customers must have a software maintenance agreement (SMA) to avoid any related upgrade charges. The Transparency flattening has been improved with an additional preprocessing step. ZePrA now checks for undefined images and uses the ICC profile defined in the Image tab.This solves serious issues with wrong color conversions of particularly DeviceRGB images. Note: The ZePrA preprocessing solves other issues, too such as undefined transparency color spaces, in order to generate color consistent PDF output after transparency flattening. Please remember that color conversion of images to the Document color space or Taget color space in combination with flattening can’t apply SmartLink and the additional ColorLogic rendering intents but only normal ICC conversion. The issue that Transparency flattening in combination with serialized CoPrA profiles selected as Document color space produces a poor color quality ahas been solved. Note: With ZePrA 4.1.5 you can now use printer profiles created with CoPrA SP without restrictions. CoPrA SP is part of the ZePrA package if the SmartLink module has been licensed. There is no more general error message when applying Sharpening on PDF files containing very low resolution images. The issues has been fixed that the Vector option Preserve Black and Gray for Vector Graphics was applied to RGB images in some circumstances. Fixed error message when RGB conversion with the SmartLink checkbox enabled was set to To Target in a SaveInk queue. Now ZePrA uses the same SmartLink settings that would be applied if the conversion would be done to the Document color space. The englisch software strings for the Transparency flattening dialog have been slightly optimized. Are you looking for solutions to your day-to-day color management challenges? 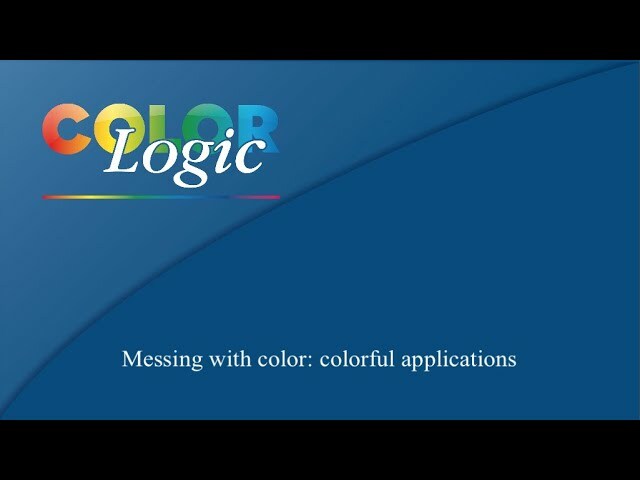 ColorLogic offers a complete solution for all of your color management needs including measurement data optimization, ICC profile creation and PDF processing. Miami Dade College of Florida has been a user of the ColorLogic ZePrA Smart Color Ser ver since August of 2013. Prior to using ColorLogic’s color management solutions, Miami Dade College was struggling with the lengthy process of color space conversion using the GMG ColorServer. As an organization that deals with the color space conversion of large files for newsprint, digital, offset and sheetfed on an almost daily basis, it is very important to work with an application that is fast and provides flexibility for changing requirements. Since upgrading its color server to ColorLogic’s ZePrA, not only does Miami Dade College experience faster processing times with high-quality results, but the College also receives superior customer support from its local ColorLogic representative, Grafix World LLC in Miami. ColorLogic is dedicated to building a strong relationship between their representatives, clients and their team of color management experts, which has proven to be a successful system, as seen in this particular situation. ColorLogic’s dedication to these relationships means that there is a network of representatives and dealers in both North America and in Europe available to provide color management expertise as requested. Click here to learn more about the features within ColorLogic ZePrA and how they can benefit your facility. To satisfy the ever changing requirements of the printing industry you need flexible and yet still specialized solutions to address those needs in the best possible way. We spoke with Mr. Alberto Gómez, CEO of the printing company Impresiones y Prototipos, s.l. in Barcelona, Spain, who is mainly responsible for the strategic development of the whole company. He focuses on quality improvements, solutions to fulfill specific customer requirements while looking for new opportunities to expand the activities of his company. Our company Impresiones y Prototipos, s.l., is a printing company located in Barcelona (Spain) with over 30 years experience in the printing industry. Three years ago we created a new division “Zeta Prototypes” which specializes in prototype packaging. Our main clients here are located in the high-end sector of perfumery. Due to the high quality of our prototypes and the great success we have achieved here in Spain, we just started our international expansion prototypes packaging division. Our goal for 2015 is to establish this international business. We use CoPrA and ColorAnt to optimize our measurement data and create ICC and DeviceLink profiles. Afterwards we process files by using the color server ZePrA. After we validated how this powerful color management engine helped us to improve our print data, we also have included the ZePrA module for Spot Color conversion, which is very important for us. We also just started using the Reprofiler, which we think is a very interesting solution for handling slight changes in the print process without the need to regularly create completely new profiles. A while ago we had some color issues in our production. I was looking for better ways to achieve color fidelity and shorter make-ready times. Someone recommended Daniel López from ID-Soft to us. He helped us to evaluate the right solutions and then integrated the ColorLogic products for us. Daniel is an excellent color consultant. He is very knowledgable and probably one of the best technicians for colorimetry in Spain. He also introduced us to the ColorLogic products. We tried many other color management solutions, but we were never able to achieve our goal with them. Our goals are to create high-quality prototypes and ensure the same colors in the final print. It is also important to know that theses prototypes serve as samples for all further printing processes. With the ColorLogic solutions, we saw from the beginning that we could achieve this goal, because they are very powerful and versatile. Before we changed our production, we had to perform many tests to get a color fidelity prototype. Since we began using ColorLogic technology these tests have been drastically reduced while also giving us a substantial increase in production without comprising the print quality. Additionally, due to ColorLogic’s products we can manage color in all material we work with: Polyester, Folding, Leather, PVC, PET, etc, knowing that we will always obtain the best result of reproduction. Each prototype we do is a unique work. Our customers rely on our quality and with our optimized production we have have been able to achieve for our prototyping a 95% realism in comparison to the final industrial production. Today we are the 1st company in Spain which is certified by the best companies. So, now that we have such an extensive experience in conducting professional prototypes, we begin our international expansion by offering prototyping to other countries. This is a great step and we wish you good luck for this exciting expansion. One last question: What do you think about the price – value ratio of ColorLogic products? It is not a cheap solution, but I think it is complex to define what is cheap or expensive… Of course, it depends heavily on the objectives that are achieved. In our case, although it looked like a major investment in the beginning, we believe this was worth the money spent. Meanwhile we improved production tremendously and added value based on the professional knowledge of Daniel López. And if we ever see new requirements we can always discuss those with him. So for sure, I would do the investment again. Thank you very much, Mr. Gómez and good luck for all your exciting activities. The latest version 4 of the high-performance color server ZePrA, developed by the German ColorLogic GmbH, has successfully passed its test period at alprinta GmbH. For some time now, alprinta GmbH has used Colorlogic‘s products ZePrA, CoPrA, Reprofiler and ColorAnt for their daily color management tasks. Ever changing print conditions in digital and screen printing, along with the special needs regarding exact reproduction of spot colors, calls for high-end color management solutions as one of the key success factors for alprinta. Until now the standard process was to generate printer and DeviceLink profile with CoPrA and re-profile with Reprofiler, each combination of printer, material and printing speed. The resulting DeviceLink profiles, were used for color conversion in ZePrA. Dealing with ten different print materials, three printers with three different speed settings ends easily in handling of 180 profiles (90 ICC and 90 DeviceLink profiles). The printing results are outstanding, but whenever something changes: material, settings, etc. all profiles need to be redone to maintain the quality. With the new SmartLink module in ZePrA 4 it is now possible to share DeviceLink settings between CoPrA 3 and ZePrA 4 and cuts with one “click“ the amount of profiles in half. ZePrA calculates automatically the required DeviceLink profile based on the related output profile. There are also pre-defined settings available for SmartLink. This new feature is one of my favorites. Especially in large format printing with its different kind of materials and reproduction capabilities. All clients require perfect reproduction of their CI colors and spot colors. Therefore, it is essential to know if those colors may be reproduced with the chosen settings. With ZePrA it is possible to define a variable for DeltaE2000 (deltaE2000 fits nicely to human color prediction) to track if the color shift is good enough to continue with the print or not. This goes very well together with the new rendering intent Minimal Compression in CoPrA 3 which allows the best possible nearly absolute colorimetric reproduction. Who can ask for more! With the new Flattening options it is possible to reduce transparencies quickly either on single jobs or whole plates and ensure the best possible reproduction without running into problems with transparencies or spot colors. Daily print production has proven that reduction of transparency is required. Even working in a PDF-X/4-Workflow can lead to those unpredictable problem which can be solved now. All job settings may be stored manually in ZePrA by using the report function – in ZePrA 4 it is now possible to do this automatically and store it in a folder. I believe that this is essential to guarantee future reproduction and archive customer data. Thank you, ColorLogic, for realizing this customer request! Finally, the most important point for all decision makers: Even if all topics mentioned are already more than helpful in daily reproduction work, you will enjoy the SaveInk module in ZePrA 4 and CoPrA 3 on top of it. I was able to realize approximately 20% ink reduction in 1000 print job without any loss of quality. Especially in large format printing where ink costs define the print costs – this could make the difference. This function pays off from your first print job on. Additionally, with the different SaveInk levels you are able to define quality and rentability. The German alprinta GmbH located in Leverkusen has been successfully working in print and display production for more than 30 years. Their core competence lies in digital and screen printing as well as advertisement, displays and UV offset. Alprinta is one of the market leaders in the area of display advertisement. This success is based on over 50 motivated and highly experienced employees. Appel Grafik is a media service company based in Germany with sites in Berlin, Düsseldorf, Frankfurt, Hamburg, Munich and Stuttgart. The Appel Grafik sites have been using the DeviceLink profiles created by ColorLogic CoPrA for many years for high quality and standardized color conversion of PDF files and pixel images. Ulf Wittenberg, Color Manager at Appel Color department creates, tests and optimizes the DeviceLink and ICC profiles centrally for the Appel Group, enabling him to ensure consistent color quality throughout the company. “At last with ColorAnt there is software for MacOS and Windows for applying corrections such as measurements smoothing or compensation of optical brighteners to the measurement data – and as a CoPrA 2 purchaser it is free of charge, too. ColorLogic has also integrated even more extremely useful functions with the help of its outstanding and highly customer-oriented team. The measurement data correction and smoothing are extremely helpful in our everyday work, particularly in calculating output profiles for color laser printers that despite careful calibration often still have notable irregularities. In addition, papers with a significant amount of optical brighteners are often used in production that in turn generate problems of a different kind when their effects cannot be corrected. Using ColorAnt, the necessary corrections can be included in the measurement data and their effect checked in advance of the profile calculation. The corrected data are then reflected in the CoPrA profile as well. Extraction of the color fields for Ugra/Fogra media wedge V3 – saves time-consuming additional work on manual spreadsheet edits in many cases when reference values have to be created for the media wedge evaluation for in-house proof conditions. Visual displays of the measurement data – nicely implemented functions for thoroughly examining the submitted corrections for their appropriateness. The whole package is rounded off by a comparative function with statistical evaluation and a PDF report. This provides a really comprehensive overview of the quality of the printers measured. This combination of advanced color management tools was previously only possible using several different programs from various manufacturers – to have all this in just one program that is really easy to use makes us really happy! Roughly 40 people work under the umbrella of the ADDON Group, a German company which is divided into ADDON Technical Solutions, Jung Produktion and the Zeitgeist company with locations in Düsseldorf, Cologne and Stuttgart. High-end DTP, image editing and print handling are among the services offered by the group of companies, along with Web2Print, image databases, programming and adaptation for publishing. “ADDON Technical Solutions has been applying color management for many years. We tackled the subject at a very early stage when we began to use scanners from Heidelberg, who introduced color management with ICC profiles sooner than many other companies. When Adobe Photoshop 5 with color management support then later came onto the market, we already had the ICC profiles in the drawer and were able to use them for soft proofing at the image editing workplace from the very start. A while later, our proofing systems – which still came from the Scitex company at the time – also got to that stage and supported ICC profiles for color-accurate output. It was quite a rough ride at the beginning, because the linearization and profiling methods were revised from one software version to the next and delivered slightly different results each time. This heterogeneous production environment was additionally supplemented by a Quantel Paintbox that worked exclusively with RGB data. It was important to have a mastery of color management at this point, too, in order to be able to deliver top-quality color separations. I began my training as a reproduction photographer in 1976 and later passed the examination as industrial master printer. After working for a few years as a scanner and image editing operator, I switched fields and have since been looking after the technical equipment side – also including color management – at what is today the ADDON Technical Solutions company. We had our first encounter with the subject of DeviceLink profiles when we tested the CMM from Imation, and through the Profile Wizard from Scitex. Really, the Scitex product only addressed proofing at that time. During beta-tests, we and the Scitex color management specialists discovered the technology’s potential for converting files between different printing processes. These days, our high-quality print productions would be inconceivable without DeviceLink profiles. To also be able to convert Postscript files and all their content, we then began to use BatchMatcherPS from GretagMacbeth, and later the successor product iQueue for PDF files. Unfortunately, the DeviceLink technology of our profiling tools of the time didn’t develop to the extent we’d hoped, nor did the workflow products. Then, when doing some research in 2004, we hit on the product portfolio offered by ColorLogic. Initial tests very soon made it clear that the company had taken the subject of DeviceLink profiles very seriously, and that their implementation left hardly anything to be desired. ColorLogic has found brilliant solutions for realizing the possibility of editing DeviceLink profiles in Photoshop with the help of CoLiPri and CoPrA, the additional rendering intents, and the preservation of separation characteristics. And the RGB-to-CMYK DeviceLink profiles are in a class of their own – they set standards that simply can’t be achieved with “normal” ICC conversion. Being one of the very first users of DeviceLink profiles, Roman Bastian can truly appreciate the great features of CoPrA 2 that ultimately ensure that the color worlds of the ADDON customers can be accurately put onto paper or other media. “We use DocBees-ProfileManager to organize our great variety of profiles. Sorting by profile classes, including DeviceLink profiles, is a major help in our day-to-day work. Sometimes, even little things can go a long way towards making everyday work easier. Since 2007 R.R. Donnelley Europe located in Krakow uses the DeviceLink technology developed by ColorLogic for print production. After testing several products from different vendors, it came out that CoLiPri and CoPrA developed by ColorLogic, fit best to R.R. Donnelley requirements. CoLiPri, a synonym for Color – Link – Print, allows to create, evaluate, edit and use DeviceLink profiles directly in Adobe Photoshop®. The so created DeviceLink profiles may be used in several ICC-compatible workflow solutions for PDF files. Another highlight of ColorLogic’s solution is that the user may use all global color correction tools inside Photoshop and than easily calculates a DeviceLink profile, which covers all this transformations. This allows reliable and high-quality modification of incoming print data to different printing standards. In addition to the CoLiPri functionality R.R. Donnelley also uses CoPrA, to create printer profiles and DeviceLink profiles for CMYK, RGB and Grayscale color spaces. After testing the beta version of CoPrA in 2007 the decision to use this innovative product was clear for the color experts from R.R.Donnelley. RR Donnelley Europe is part of R.R. Donnelley & Sons Company – the world’s premier full-service provider of print and print related services, including document-based business process outsourcing. Founded more than 140 years ago, the company offers an extensive range of services covering all areas of pre-media, print, finishing, response marketing, direct mail and distribution to clients in industries such as catalogue, publishing, retail, manufacturing, telecom, technology, financial services and many others. The German SKN printing and publishing group has a long tradition which dates back to the last century. SKN currently employs approximately 450 employees. The publishing area covers over 30 different telephone books, the monthly magazine “Ostfriesland Magazine” and also publishes books. With its daily newspapers “Ostfriesischer Kurier”, the “Norderneyer Badezeitung” and two additional weekly newspapers, the SKN is also well known in the German newspaper publishing. Beside these activities, the SKN is one of the largest industrial printers for high volume printing in Germany. According to their motto, “SKN – Competence in printing and publishing“, the SKN delivers high quality on a good price-quality-level. Besides highly educated and motivated employees, it‘s essential for the development of such multifaceted company to use the right technology and to have a close contact to all clients. Therefore, it is very important for the SKN to take special care about job printing and close customer relation. In other words, to present itself as a competent and reliable partner with whom it is easy to work with. Tielko de Groot is the Manager of Prepress at SKN and, in addition, responsible for training and internal complaints department. Several years ago, a print consultant introduced him to the products from the color experts ColorLogic. The possibility to handle all print related data in the correct color space convinced Tielko de Groot to ColorLogic was the obvious solution. Due to the importance of using InkSave in SKNs production, they decided to work with ColorLogic ZePrA and the ColorLogic DeviceLink profiles. Tielko reports: “Working with a reliable and fast color server, which can be configured in an easy and understandable way, is really great. ZePrA is responsible for most of our color conversions and ink saving calculation of print data for sheet-fed and web-fed offset printing. For example, to adjust color data to the different Fogra characteristics of several paper types is an easy and fast task. Furthermore, by using an automation software like Enfocus Switch, the automation process in production can be additionally increased”. Gennaro Marfucci offers solutions for DTP, color and print, and works with ZePrA, a color server software solution developed by ColorLogic. Gennaro Marfucci is a certified media expert for digital and print media. His full-service bureau offer solutions all around DTP, color and print. Located in Darmstadt near Frankfurt, he serves clients all over Germany, but especially in the Rhein-Main area. Gennaro Marfucci works mainly for ad and design agencies, prepress and service bureaus. Based on Corporate Identity and production requirements, he creates layouts, print copies and finalizes also print production – from layout to final print control. He does the DTP work on his own and serves everything around digital printing, prepress and color management. For Marfucci, it is common in his business to be expected to prepare print data immediately. This an present a big problem for a small company. Therefore, it is even more important to quickly prepare ad campaigns with respect to different printing conditions. Beside ZePrA (including SmartLink) Marfucci uses also ColorLogic DeviceLink profiles (DLS) and DocBees-ProfileTagger to detect unprofiled or wrongly tagged data. ZePrA is a high-end color server running under Mac OS X or Windows. The application supports DeviceLink and ICC profiles and offers conversion and optimization of complete PDF print data and images (PSD, TIFF und JPEG) via hotfolder. Therefore ZePrA is the perfect solution to convert delivered printing data to a standard printing condition. ZePrA supports CMYK, RGB, gray scale, Lab and multicolor and is suitable for any kind of printing process. This application sets standards regarding quality, performance and price wise! Get an overview of ColorLogic's latest Smart Color Server ZePrA 5.0.
callas pdfToolbox is capable of doing color conversions using regular ICC profiles, but it can also use DeviceLink profiles. Using specially crafted DeviceLink profiles from ColorLogic is an affordable way to reduce ink in PDF documents to what is needed for a specific printing purpose. ICC Profiles, DeviceLink profiles and the difference between both. Introduction on spot color conversion using ZePrA Color Server from ColorLogic. The summary includes an example of a poor quality spot color conversion using the alternate color space versus the high quality conversion using ZePrA Color Server. 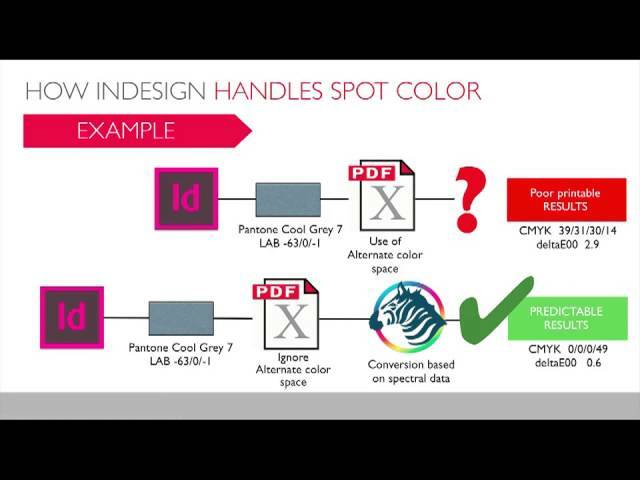 Learn how to implement ColorLogic's ZePrA Color Management Server software, how to convert alternative color spaces from PDFs generated from Adobe's Indesign and Illustrator (from CS 6 forward) to get a high-quality match, not only for proofing, but also for CMYK and multicolor print production. Is ZePrA a multi-processor solution? Does ZePrA allow flexible DeviceLink creation (on-the-fly creation of DeviceLinks)? ZePrA as of today runs only one file in parallel when using the GUI with hot folders. The command-line version (and thus also the Switch integration module) is capable of running multiple instances in parallel. In our tests ZePrA is a very fast tool - though, be sure to test on your files. Yes, there is a SmartLink option in ZePrA that does exactly that. It allows you to specify a number of optimized DeviceLink profiles, and any color conversion that you don't have a DeviceLink for will have that DeviceLink created for you automatically. The quality of the tools is superb. These are probably the best color tools out there today. They offer a very nice balance between ease-of-use and configuration and have a large array of features and possibilities. Their price / quality ratio is excellent, much more than comparable solutions. Advanced packaging products can re-separate files using a flexible number of spot colors. The answer ColorLogic has for such workflows depends on its unique ability to work with MultiColor DeviceLink profiles in CoPrA and ZePrA. Using Photoshop and the edit module in CoPrA, a customer can create custom spot color orders and build those into a DeviceLink profile that can then be used by ZePrA to separate incoming CMYK files. An upcoming ZePrA version will add a much more advanced spot color conversion module for such workflows as well. In such environments it will be very important to understand the needs of your customer and their project very well before suggesting a ColorLogic product. In case of doubt simply email support@fourpees.com and we will be happy to help you qualify opportunities.